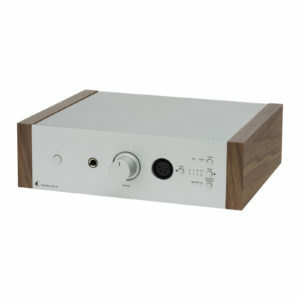 The heart of this audiophile amplifier is a Class D module which is highly efficient and energy saving. It delivers high output power, to drive demanding speakers and fill any room with pure sound, very low and frequency-independent THD to produce the cleanest sound possible. 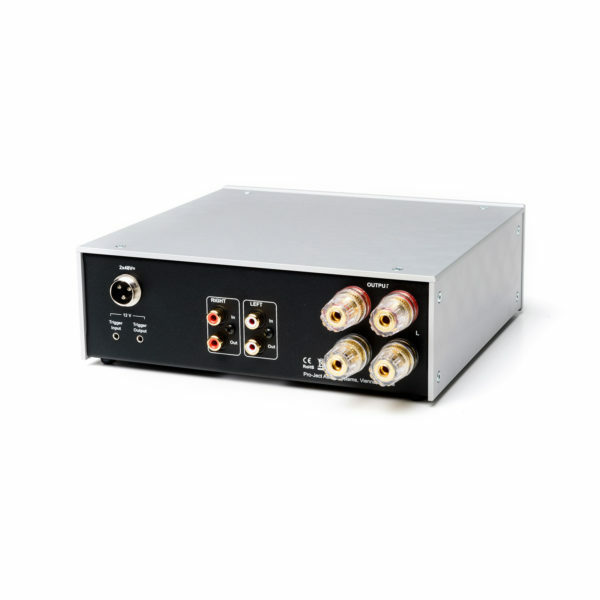 The top grade power amplifier module guarantees fully load-independent frequency response, low output impedance and very low noise floor. It meets our highest sonic standards in terms of spaciousness and fine dynamics and provides sufficient power for excellent reproduction in normal living rooms. 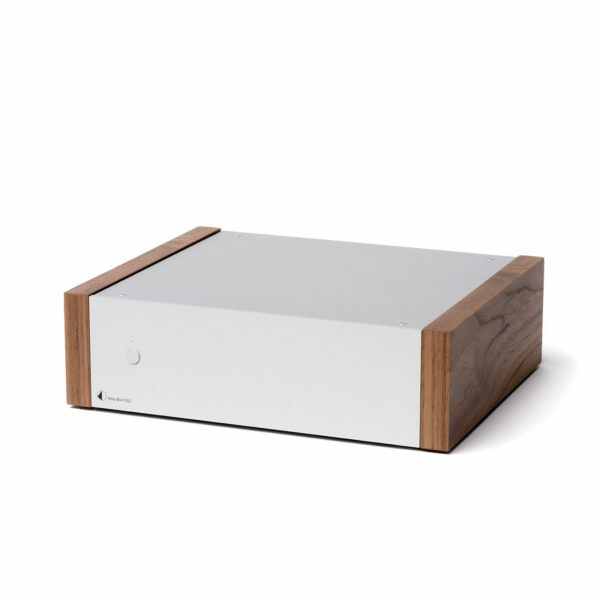 As a sonic guideline for Pro-Ject amplifiers the homogeneous liquid sound of audiophile tube amplifiers are used as benchmark. All our next generation devices offer the possibility to come with wooden side panels. The side panels give the products a very classy and unique look. A four layered PCB enables us to use shorter signal paths, which are also responsible for the improved sound compared to its predecessor. Amp Box DS2 will fill your home with the lush, energetic and smooth sound, usually found in much more expensive products. 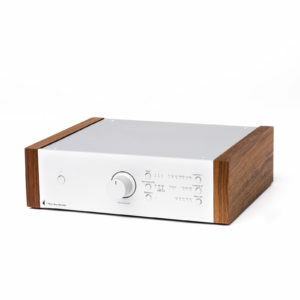 As additional upgrade you can use our Power Box DS2 Amp to improve the sound quality even further. The casing, made of aluminum and metal, is both elegant and solid, to protect against vibration and deliver highest aesthetics. 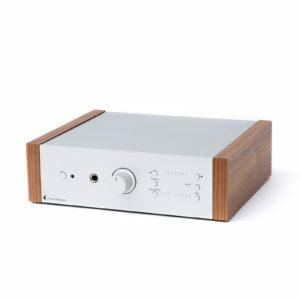 The unmatched sound and the no compromise components make it an audiophile high end bargain!